Discover the wonder of traditional Navajo astronomy by listening to an original recantation of Navajo star stories. 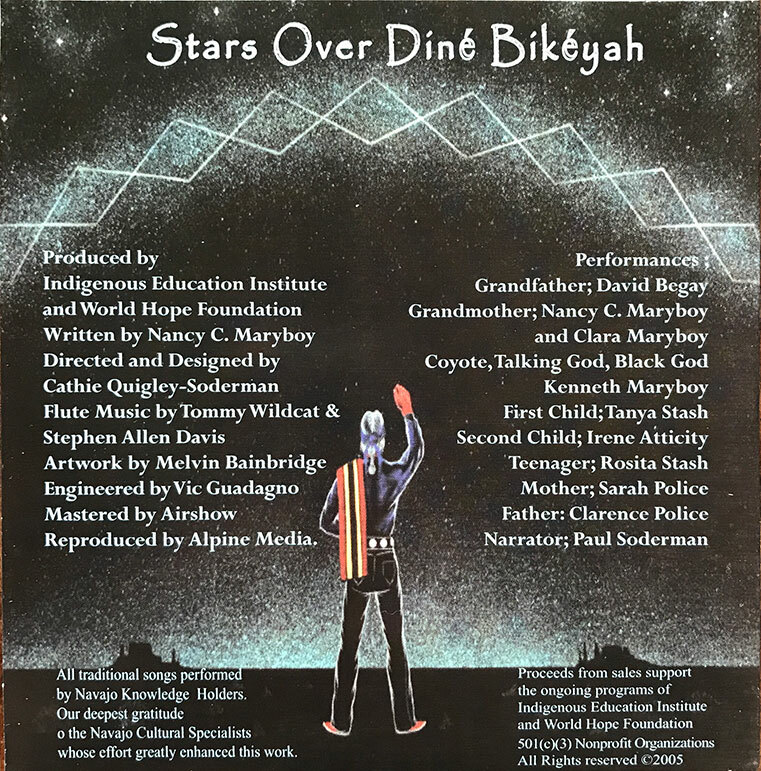 Written and narrated by traditional Navajos, “Stars Over Diné Bikéyah” will take you on a celestial adventure that will leave you with a basic understanding of the traditional Navajo Night Sky. The story is told as children asking their grandparents about the stars and meaning of constellations. These innocent questions lead to an exploration of how the sky became. The story unfolds as the Spirits are following the perfect, pre-planned order of placing the stars in the sky. Suddenly, Coyote, a curious and mischievous character sees what’s happening and wants to get in on the action. When the Spirits aren’t looking, he gets carried away and throws all the stars up into the sky, causing…well, listen and find out what happens. 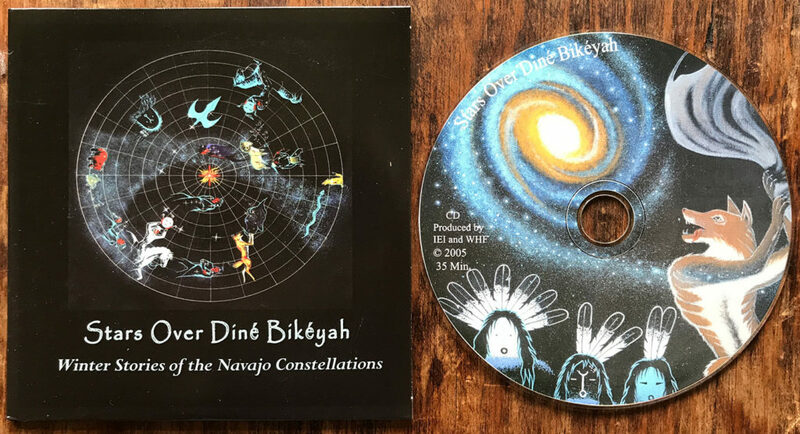 This audio recording is suitable for all ages and anyone interested in Navajo or indigenous astronomy. Listening to the CD while looking at the poster is the most effective to quickly grasp the meaning and understanding of Dine Universe. The story is both entertaining and informational and great for teachers, students, gifts or your personal collection.